On Thursday 9th May, we'll be opening our garden doors in the name of charity for the first of this years National Garden Scheme Open Days. 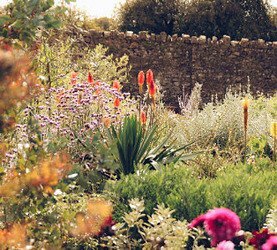 The scheme sees gardens across the country donate their admission fees to the NGS, which they share amongst a number of well-deserving charities. The National Garden Scheme gives visitors unique access to over 3,500 exceptional private gardens in England and Wales, and raises impressive amounts of money for nursing and health charities through admissions, teas and cake. Since its foundation, the National Gardens Scheme has donated over £55 million to nominated beneficiaries including Marie Curie and Macmillan Cancer Support.